Create a feature wall on a new home extension. Give your home a makeover and replace old style flat white pvc cladding with Fortex embossed cladding. Replace hanging tiles with cladding. Replace tired and cracked render with new pvc cladding. Clad your garden room or summer house. Makes a low maintenance strong material for home offices. Ideal to replace wood on barns and sheds. Do you have a beach hut? 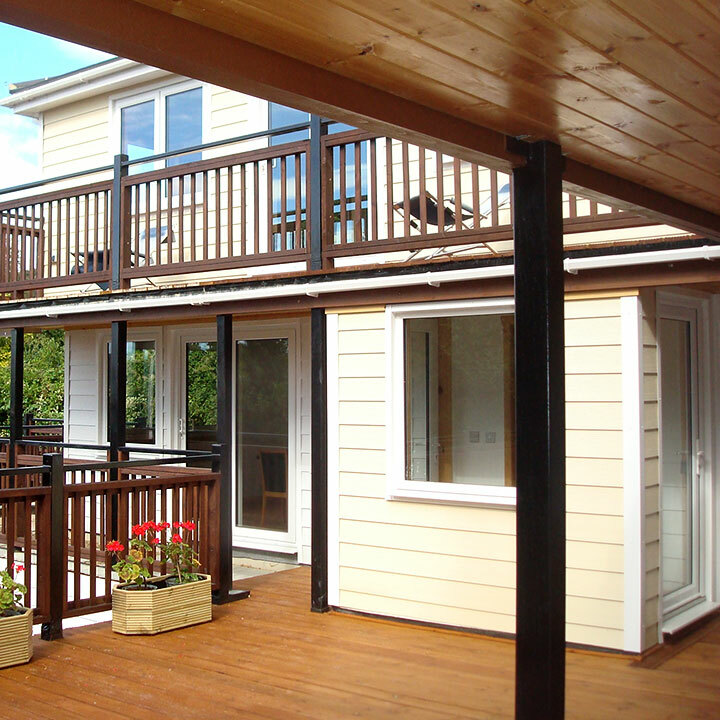 Use PVC Cladding instead of wood, comes in a wide range of coastal colours.